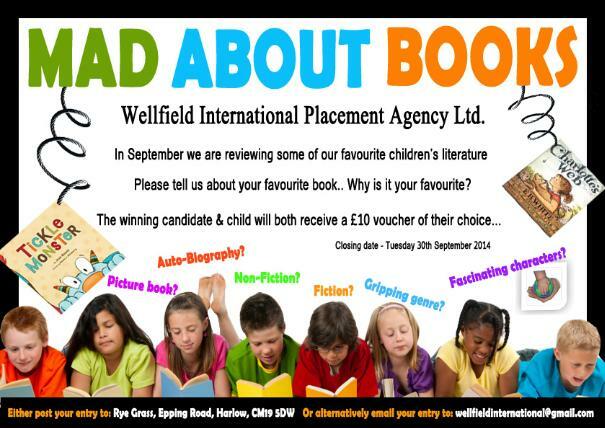 This months competition is all about our favourite children’s literature! Spend time with your children to discuss their favourite books and together complete the book review document at the bottom of this page. This has also been emailed to all candidates. Entries needs to be sent back to us by Tuesday 30th September 2014. We are looking forward to reading your reviews!